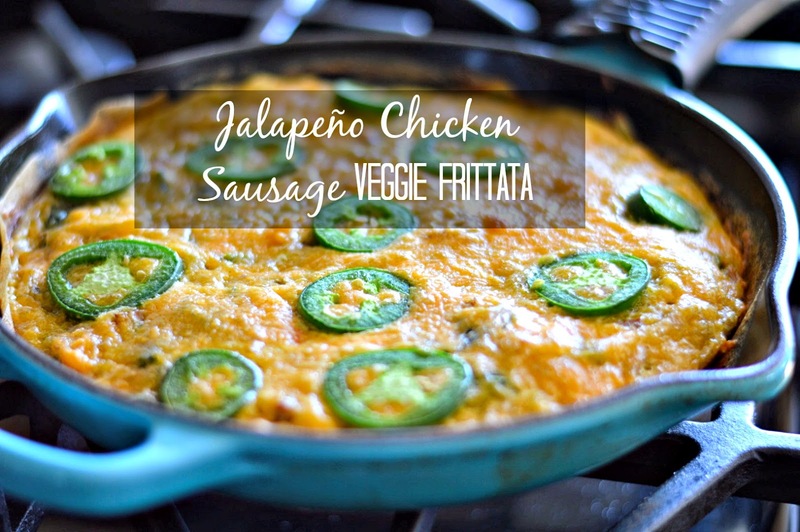 Get ready for an amazing flavor packed frittata with a kick! I woke up this morning with a taste for an egg dish but wanted it to pack a punch. I pulled out just about everything I had in my refrigerator that I thought would taste yummy in this dish. Pre heat oven 400 degrees. Cook veggies & sausage in olive oil on stove top until tender. Add seasoning to mixture and incorporate well (this part is very important as this is the base of the flavor of the frittata)! Next, blend eggs together well in a magic blender adding the tablespoon of water, pinch of salt, pepper & paprika. Turn stove off & pour egg mixture over veggies & sausage. Mix well and add cheese. Smooth surface & add additional cheese to create crust. Lastly, thinly slice jalapeno and place on top of mixture. Place in oven for 10 minutes or until frittata puffs up to a golden brown. P.S If you are looking for my brunch/breakfast ideas check out my low & slow rosemary shrimp scrambled eggs!